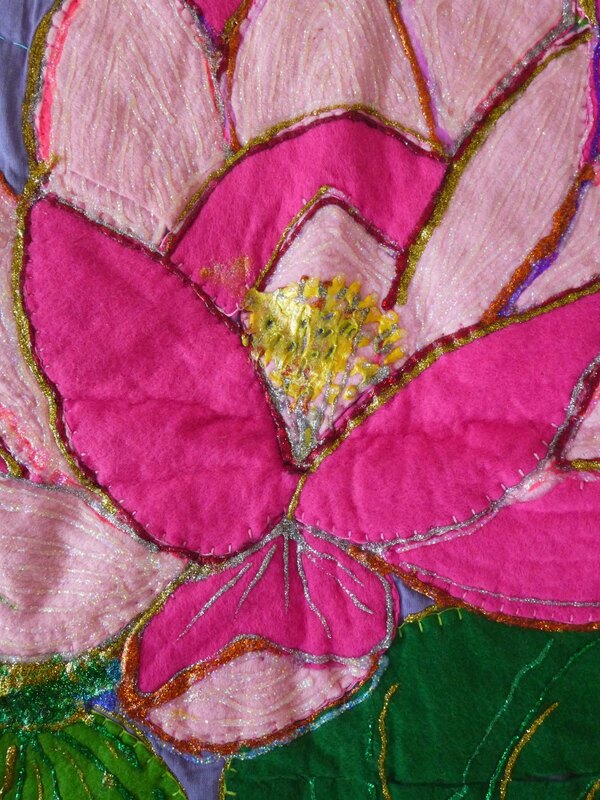 One of seven quilted wall hangings handmade for the Bangladeshi Mela 2002 (Royal 50th Jubilee) by women at the Fitzrovia Neighbourhood Association. A unique item. 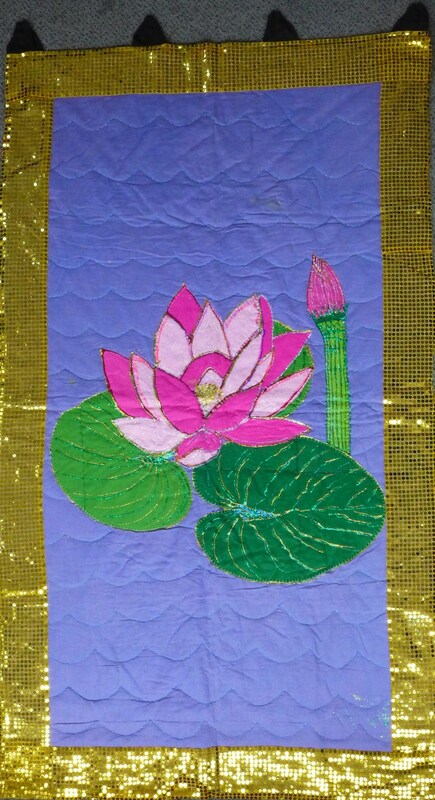 Light and dark pink waterlily with stem and lilypads on a violet blue background, gold gauze border with glued sequins. Main figure: Light and dark pink waterlily with stem and lilypads on a violet blue background, gold gauze border with glued sequins. 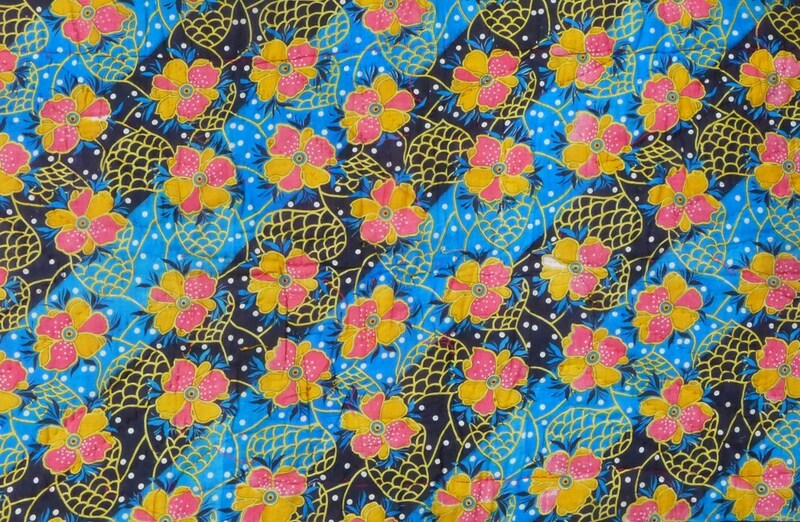 Backed with silk sari material, light blue and black stripes with pink, yellow and white print. Backed with silk sari material, light blue and black stripes with pink, yellow and white print. Four black cotton hanging tabs at the top. Condition: Excellent, used. A few sequins missing from the gauze border. The item is being sold to fund community development projects.